What’s Fonzie? Fonzie’s cool. I’m going to go ahead and say Jody is cool too. Jody has called the boys (and Bobby *sobs*) over the years for help, but she proved this episode that although she might not know all the details she’s definitely hunter material. They were working as a team, not as a girl that needed the boys help. Yes she trusted the girl a little more than I would have, but also she’s not been as jaded as the boys are now. Speaking of jaded, Sam loves to give Dean crap about how he’s lost touch with humanity, but both of them would have gotten what Jody was saying about how the girl needed to be saved from these vampires. The boys however went into the situation perfectly fine with killing her. It wasn’t that long ago both boys had issues with killing anything human. This episode had so many of the things that I love about Supernatural in it. We had our monster hunt, a gradual progression of the over arching storyline (the Mark of Cain and Sam’s issues between him and Dean) and the boys were getting along again. Working as a team without the baggage they’ve been dealing with getting in the way. Also it had humor which is always a plus. The show definitely lacked in (good) humor last season so I’m glad to see that the writers are embracing this again. Supernatural deals with overly dramatic topics so if it doesn’t have any humor thrown it it tends to take itself too seriously. I know I just said it, but seeing the boys work together and joke together was amazing to see. I’ve been talking about how I feel like Sam is going to realize that he would do anything to save Dean sometime soon and I think he got a glimpse of that this episode. 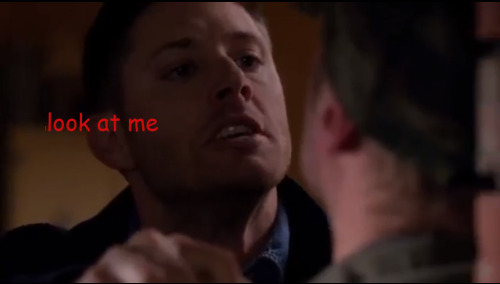 Dean was lying there prone, obviously very hurt and Sam couldn’t do anything to stop it. This is probably just the iceberg of Sam’s realization, but it was satisfying to watch. Yes, Sam you do still love your brother no matter how mad you are at him. Sam needs to figure out that fact before the Mark of Cain takes over Dean completely. Did anyone else think that the vampire was surprised with Dean’s strength? I wondered if that was another Mark of Cain side effect. 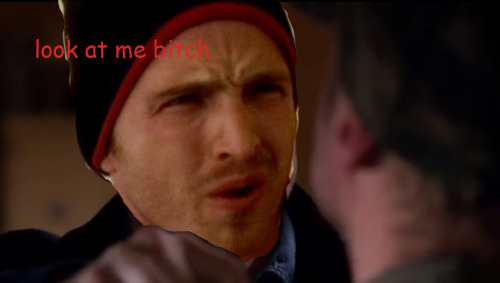 Haha– that photoset cracks me up more than it’s probably actually funny, but I love me some Jesse Pinkman. Back to the main story though I’m glad that Jody has someone to take care of again and I’m also glad that the girl she put her faith in came through for her. From the previews and from the tone of the show I was expecting Jody to not only get screwed, but perhaps also brutally murdered. After all no one (OK very few) is safe and Jody’s character has had a much bigger role than I ever expected it to. I also think it reminded the boys what it felt like to save a human that needed saving again. Will we see Jody again? (I hope so) Will we see Alex/Anne again? (I’m open to it). I look forward to seeing the development from here. Next week we will see the Bloodlines back door pilot and I really hope that it’s good. The preview makes it feel like it’s The Originals for Supernatural. After all it’s a fight over a city and it’s about ancient families. Originals is about a fight over New Orleans involving an ancient family. Hmmm. . .I rate The Originals at about 4.5 out of 10 so I really hope that the preview is produced that way just to try to bring in some of that younger crowd, but is just as meaty as Supernatural. No matter what I’m sure next week will be interesting to watch!